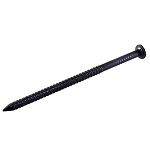 1 1/2" [+$2.04] 1 3/4" [+$1.40] 2" [+$0.80] 2 1/2"
Metal roofing nails are used for fastening metal roofing and siding as well as aluminum and fiberglass products. EPDM rubber washers seal nail holes. 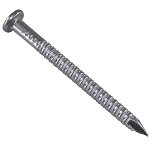 Most manufacturers recommend minimum nail penetration of 1" into the purlin or girt. Do not overdrive! Washer should just begin to "balloon" under the nail head, but not bulge over nail head. 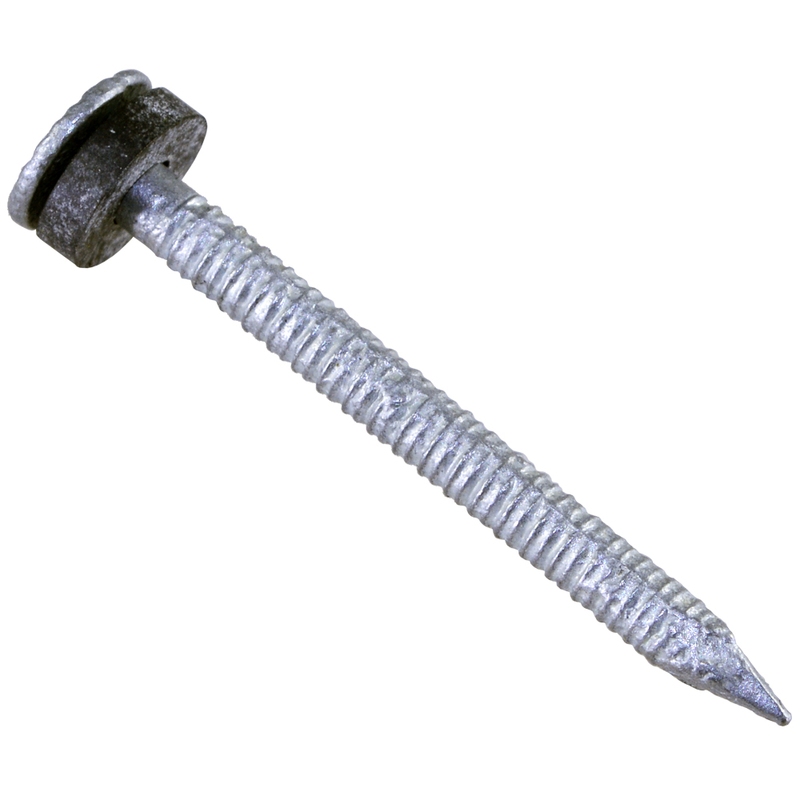 Most Metal Roofing manufacturers recommend minimum nail penetration of at least 1" into purlin. Nails are double-dipped in molten zinc.